Dr. Mark Ghalili is a regenerative medicine specialist at Regenerative Medicine LA, serving patients in Los Angeles, West Hollywood, Beverly Hills, and Brentwood, California. Dr. Ghalili was born and raised in Los Angeles, California. Dr. Ghalili performed his undergraduate studies at the University of California Irvine and then went on to obtain his medical degree at Western University of Health Sciences. After medical school, he chose the University of Nevada Las Vegas to complete his Internal Medicine residency training. As a regenerative medicine specialist, Dr. Ghalili’s passion lies in teaching his patients about chronic disease, prevention, and finding the underlying reasons for an illness. At an early stage in his career, he noticed the future of medicine becoming a medication cure-all for all patient’s ailments. Dr. Ghalili realized that the traditional methods and ideologies used in Western Medicine that were taught to him failed to provide any insight into integrative, alternative and regenerative medicine. He realized that millions of Americans were suffering from chronic diseases with no resolution of their symptoms in sight. Constantly, being passed around from doctor to doctor to doctor, feeling as though their voice was not being heard. Dr. Ghalili realized this was not his destiny. Unfortunately, a monumental event in his own personal life changed his path forever. He was never able to look at the medical profession the same way again. In late 2016, Dr. Ghalili experienced a severe and common adverse reaction to a widely prescribed antibiotic called Cipro. On his second day of antibiotic treatment, he found himself grasping for life in excruciating pain. This was only the beginning of an onslaught of symptoms that changed his life forever. Dr. Ghalili soon suffered from complete muscle wasting, burning neuropathy, seizures, brain fog, vertigo, blurry vision, and tendon tears in his legs. His life became confined to a wheelchair, crippled and unable to walk. Dr. Ghalili’s only hope was implementing alternative & regenerative therapies, as the traditional medical doctors had no answer for him, nor did they even believe him. After using alternative & regenerative medicine to completely reverse his condition, Dr. Ghalili realized how the world of alternative medicine is completely hidden in medical school and residency training. Millions of people are consuming anti-depressants, opioid painkillers, ADHD medications, steroids, cholesterol agents, and antibiotics without knowing the long-term side effects of what they are consuming. Dr. Ghalili believes in finding the underlying reason why patients are sick in the first place and treating a disease at its core using natural methodologies. Re-building the mitochondria (the powerhouse of the cells) is a major key to optimizing one’s health and can be tweaked to treat the overwhelming majority of medical conditions. Dr. Ghalili was persistent to gain his normal life back so he could help millions around the world with not only adverse drug reactions to fluoroquinolone antibiotics, but to any condition which typical doctors continue to prescribe a pill instead of determining what caused the illness in the first place. Learning about his genetic variabilities, following a plant-based diet, using regenerative therapies, and utilizing his own stem cells, he was able to reverse the presumed permanent nerve damage and muscle atrophy. Within weeks, Dr. Ghalili went from being confined in a wheelchair, unable to treat patients, living in excruciating pain, to gaining the gift of running again, something he will never take for granted. Regenerative medicine specialist Dr. Ghalili’s passion lies in providing alternative and natural remedies for his patients. His extensive knowledge of repairing mitochondria, assessing genetic profiles, IV nutrition, peptide therapy, anti-aging, rejuvenation, hormone replacement, and stem cell therapy will allow him to provide cutting edge medical treatments to heal his patients. Dr. Ghalili has dedicated his life to all that are living with any type of disability. As a patient himself suffering a near-death experience for months, Dr. Ghalili vows to help every patient who feels they are being neglected by traditional medicine. He realized the only way he can fight back is by helping his patients with compassionate care and solving their problems one step at a time with a customized approach. 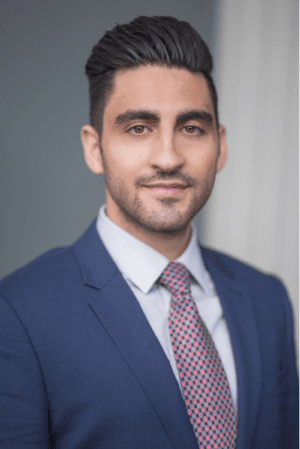 In his spare time, Dr. Ghalili enjoys playing basketball, youth mentorship, traveling, volunteering, poker, and often gets caught up at Whole Foods helping people choose the right supplements, free of charge. He is a member of the following prestigious societies: the American Board of Internal Medicine, the American College of Physicians, and the American Academy of Cosmetic Surgery.